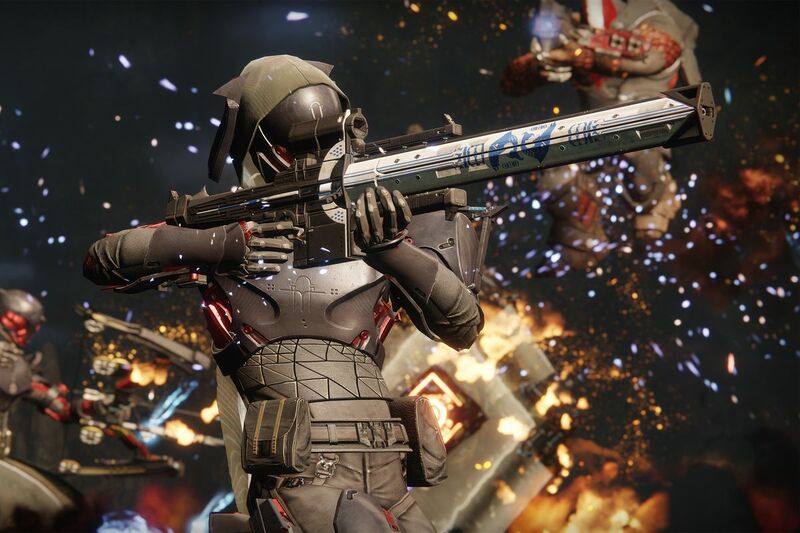 The Mysterious Box Quest in Destiny 2 is an exotic quest which requires you to perform specific steps within each of the Black Armory DLC Forges to unlock four Mysterious Box locks and ultimately giving you the Izanagi’s Burden. Now that the final forge has been unlocked in Destiny 2, you can start working on getting the final key for the Mysterious Box. The entire quest will make you tackling some of the hardest content in the game. Now let’s start with the steps to complete the Mysterious Box Quest. 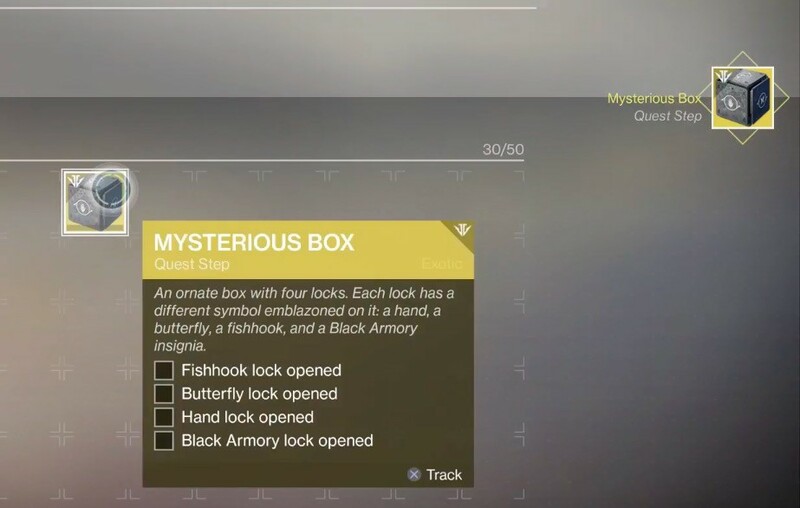 For the fourth lock, which is the Black Armory lock, you will have to complete through a different quest from the other three locks in Mysterious Box. Before you go after the Fishhook key, you should be confident in your ability to complete the Forge. If you can’t complete the Forge then there is no point in working towards the Fishhook key. The first step is you need to complete round 1 on the Volundr Forge. Here you have to kill blue-colored enemies, grab the Radiant Battery that they drop, and then throw it at the Forge. And remember that killing the blue enemies will extend the timer, so prioritize to kill the blue enemy over battery throws when possible. Now you will have to send two players to different areas, one player to the cliff side of the Volundr Forge and the other one to the cave area. Shoot and destroy all the Black Armory drones which flying around on both areas. Once you have done, the fireteam will get a buff called Maximum Temper in their kill feed. From here, continue to complete round 2 and then defeat the final boss in the Volundr Forge. 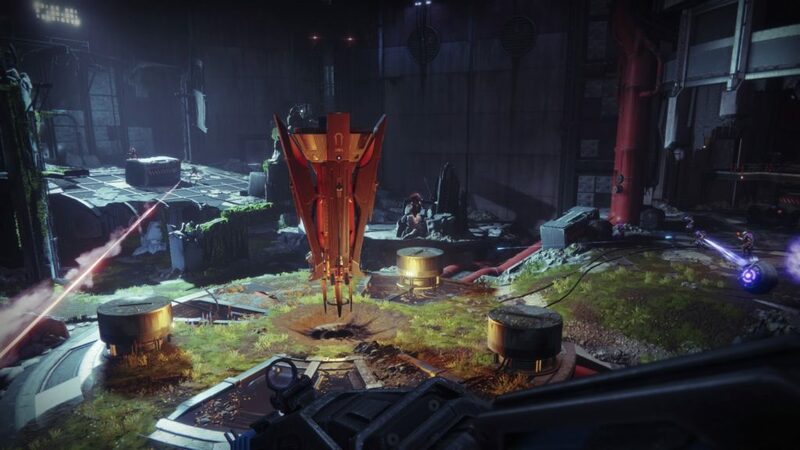 Once the boss has been defeated, the Forge will spit out some glimmer, some engrams, and the successfully forged weapon, but you have to notice for a Black Armory chest which will also appear. Go up to the chest and open it for the Fishhook key. To open the Fishhook lock, you need to inspect the key and hold the action button to use it. Then when looking back at the Fishhook lock, its checkbox should not be filled in. 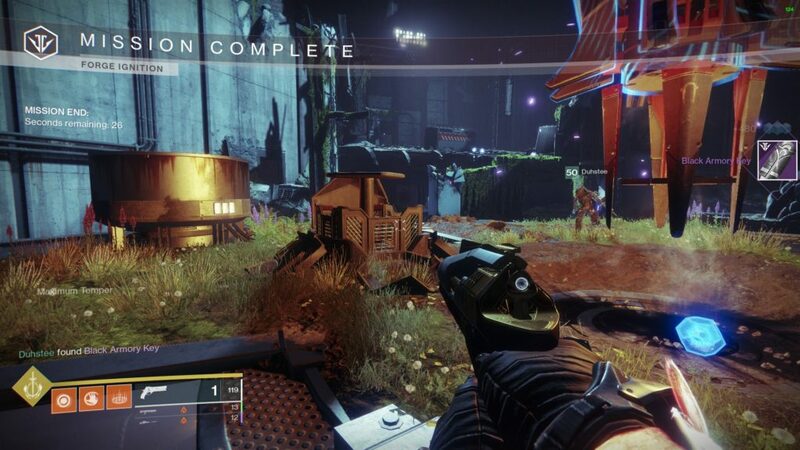 Hand lock is the second of four locks that you can currently open, the key can be found in the Gofannon Forge. Interestingly enough, you can open the Hand Lock much like the previous one, the Fishhook Lock. Just like with the fishhook key, the team will need to wait until the start of round 2 to start the process. Right at the start, two Saboteur drones will spawn in the arena and must be shot immediately. Send two players to different areas, one to destroy the Saboteur which spawn near the generator in the very back of the arena, and the other one must destroy the other Saboteur to the left door. After destroying both Saboteur drones, the team will have a buff called Maximum Temper in their kill feed. Now continue the Gofannon Forge by tossing 20 batteries into the forge and then defeat the large Servitor boss. 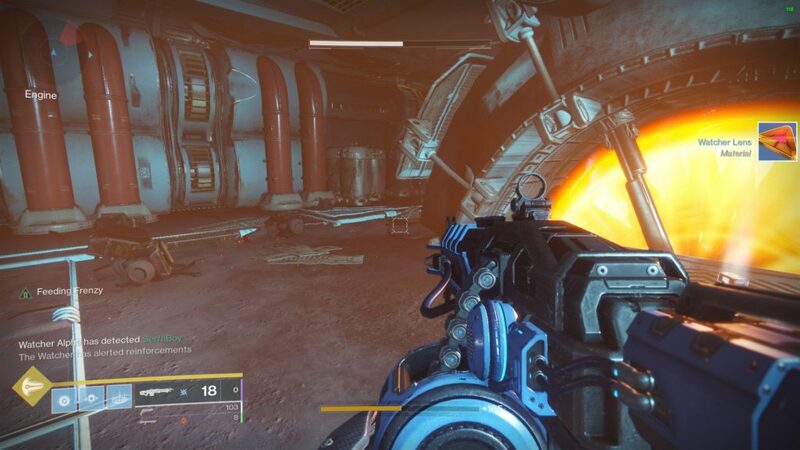 Once the Servitor falls, a Forge cache will spawn next to the forge, which the team can open and claim the Hand key. Now go into the inventory and use the hand key to open the Hand lock on the Mysterious box. The third key you need to find is Butterfly key to unlock the Butterfly lock on Mysterious Box, you can find the key in Izanami Forge. 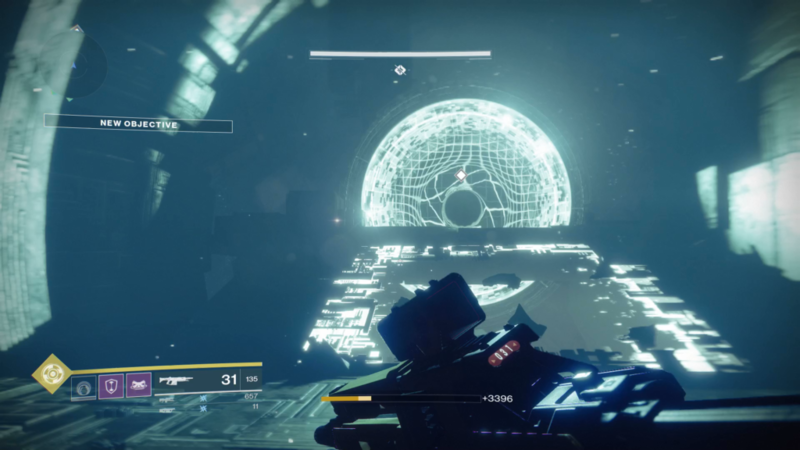 When you start round 2 in Izanami Forge, you will find the drones, they will be hovering around a metallic spire on each of the islands, which you need to be destroyed immediately. Send two players to the left and right area of the floating islands of the Izanami Forge. Destroy them to get a Maximum Temper in kill feed. Once your team has shot down the drones, you will need to clear the round to gain access to the chest at the end, which will reward you with the Butterfly Key, use it to open the Butterfly lock. 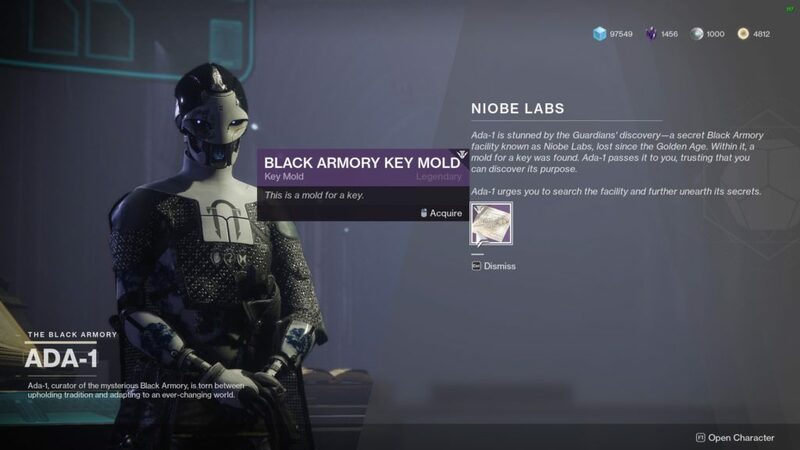 Once you have opened the third lock (Butterfly lock), Ada-1 will give you a new quest to open the Black Armory Key Mold, the reward being used to open the fourth Black Armory lock on the Mysterious Box. Kill the Watchers in the Engine, exit the room and unlock the door again to force them to respawn. Don’t kill them too quickly, as this will circumvent the alarm and unlock the chest door, which means the door will not shut and the room can’t be reset. Next, you must open Public Event and Strike chests, earning Glimmering Amethyst each time, until you have enough to continue. Now you have to shoot down the specific drones to get the Maximum Temper. To do this, destroy the two drones that spawn during the second wave. One drone circles the red pipes at the back and the other drone circles the pillar near the broken landing up the back. Open the cache after completing the third round to acquire the key. 3. Open The Mysterious Box and receive ‘A Mysterious Decryption Device’. Now that you have finally able to open the Mysterious Box, and you will receive ‘A Mysterious Decryption Device’. Take it to Ada-1 and you will receive the Unidentified Frame and begin the Lock and Key questline. This is the first step you need to do to complete the Lock and Key questline. These Rare bounties often require players to complete difficult activities, dozens of Forges, or really specific tasks. 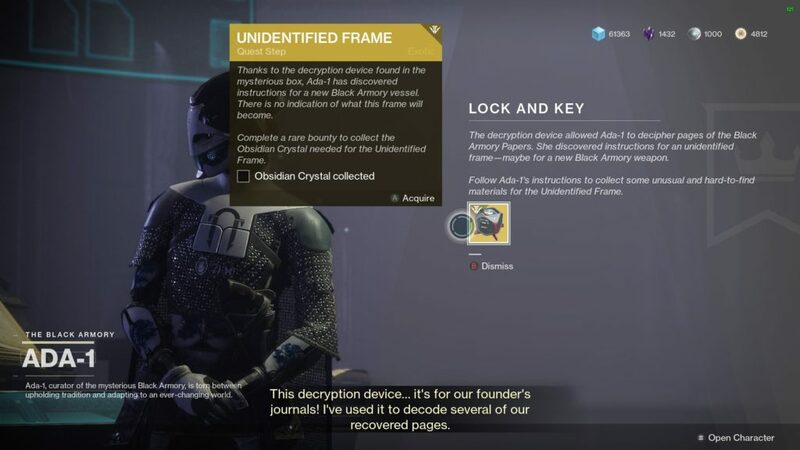 Once you have a Rare bounty, complete it to receive an Obsidian Crystal, save the Obsidian Crystal to put it into the Unidentified Frame. 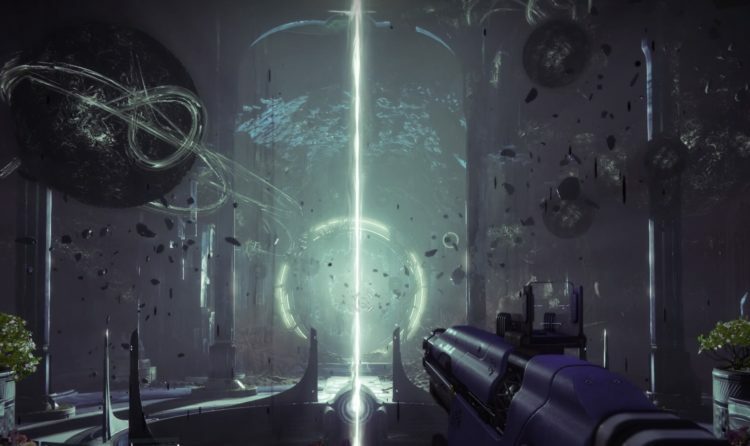 Next step, you will have to kill Dul Incaru, the Eternal Return, in the Shattered Throne to achieve the Ascendant Glass Shard. A special version of the Pyramidion Strike will appear on Io. Load into the fast travel point near Asher to find a blue banner, then activate it to start the Strike. This version of the Pyramidion is Power 640 and if all members of the Fireteam die, it will restart back to the beginning. The next step is you need to complete the Bergusia forge in the EDZ. Shoot the drones to lower its shield, then deliver as much damage to this enemy as possible. Remember, the shield can regenerate, so be prepared to shoot more drones. A 650 boss will spawn which isn’t unlike other bosses in forge activities, defeat the boss to complete this task. 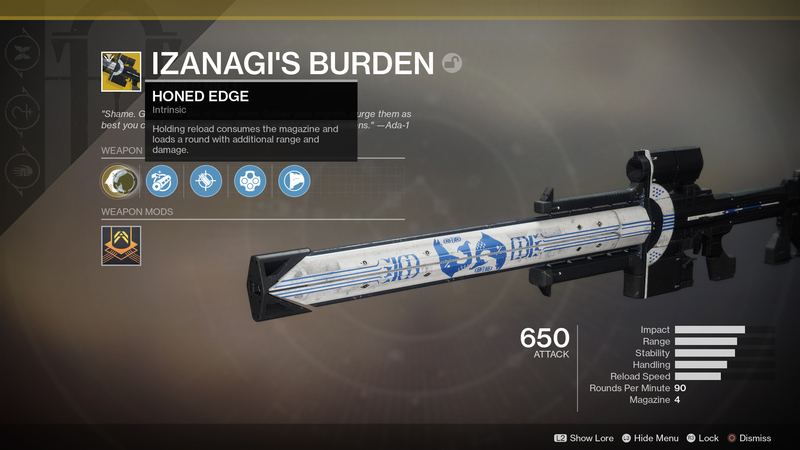 Once you defeated the boss in Bergusia forge, return to Ada-1 and there you are, the Izanagi’s Burden is yours now.